What Constitutes the Best CLAT Preparation? 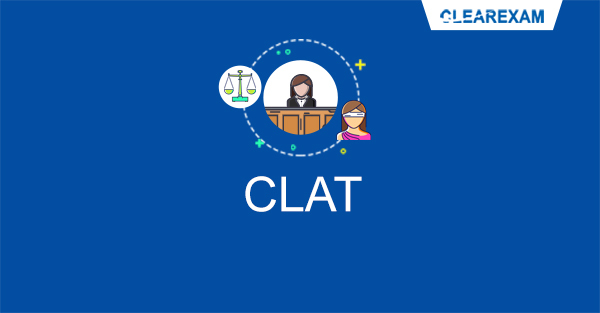 Home » CLAT Preparation » Law » What Constitutes the Best CLAT Preparation? I myself took the CLAT in 2014 which ultimately landed me in Gujarat National Law University, Gandhinagar. I have been since helping friends and relatives crack the exam by sharing tips and techniques on how to maximise their efficiency so that they can have an effective CLAT Preparation. This has made me aware of certain challenges that most people face in their CLAT Preparation with respect to the right study material, CLAT Coaching in Delhi or the exam pattern itself. Noting all these challenges, I have highlighted some methods and tips which have proven to be extremely effective when applied and followed religiously. The exam itself is of 200 questions which are to be attempted within 120 minutes. Many think it is a strict time frame but I personally think that with enough reading and CLAT Preparation, 120 minutes is just enough time to attempt all the questions and complete the exam comfortably. The exam covers 5 sections including topics from English (including Comprehension), General Knowledge and Current Affairs, Mathematics (Numerical Ability), Legal Aptitude and Logical Reasoning. CLAT Coaching in Delhi can help the students who are not able to study effectively on their own. Given the fact that most of the candidates appearing for CLAT typically are in their Class XII preparing for boards and pursuing other extra-curricular activities, it becomes very important that their study is strategized in the most efficient way in respect of the time spent. Taking into account the amount of study material to be covered, the candidates should prioritise and plan out what all is to be studied and in what manner. For this, the candidates should be aware of techniques which can they use to maximise their efficiency so as to produce the most effective results despite any kind of CLAT Coaching in Delhi that the candidates may be taking. Following are tried and tested CLAT Preparation tips that work wonders if followed ardently. No matter the mode of study, the candidate should inculcate these habits in their CLAT Preparation. It does not matter if the candidate is engaged in self study or CLAT Coaching in Delhi, they should prepare for the CLAT with their body, mind and soul. Mock Tests: The simple facts of taking practice tests regularly can prove to be the making or breaking point for anyone. This can be contrasted with re-studying the material where you read the same concept over and over again which remains the same. However, taking tests repetitively helps you understand the concepts better and enables you to attempt the questions from all different angles leaving very little to one's imagination. Practice tests as provided by CLAT Coaching in Delhi also help improve your retention skills since this activity alone creates information linkages which are remembered better than when you just read the concept from the study material. Clearing Doubts: When attempting practice tests or simply studying, questions are bound to arise while answering certain questions. Asking and clearing these doubts as and when they arise is extremely important since that doubt can clear up the understanding of a particular concept during the course of your CLAT Preparation. Do not hesitate to bother your friend or coaching institute instructors for the same since clearing doubts is an important part of the preparation. Mark Important Stuff: For those who liked to own colourful markers and highlighters in your high school, this technique will interest you a lot. Here the candidates should always keep a marker or highlighter ready with them and then underline and mark all the important portions, paras, methods, formulas, topics that they believe are essential to their understanding. Along with this, post-it notes should be used judiciously so that you do not waste time while referring back to your notes when a doubt arises later while taking tests. Summarize: While reading important concepts in your CLAT Preparation, it is recommended that you make small notes and summaries of the same. Read the whole topic, shut the book and then write whatever you have understood in a small summary. This helps in memorizing that particular concept as well as understanding it. After writing down this summary, discuss it with someone else so that you make sure that nothing important is left out and whatever is written is correct and accurate. This technique may not be applicable to all the sections of the exam, but whatever concepts you think are a little tough for you, make summaries for them so that they can be revisited later easily. Revise Regularly: This technique has been cited by most of the students as their number one technique. There is widespread evidence that constant, regular revising and reviewing of concepts can help improve test scores. This will be visible automatically in your performance when you track it through your progress in the practice tests. After taking a few practice tests, go back, revise and reread the concepts you have summarized. You will start to generate more and more clarity in your understanding of all the topics with an increased retention power. This should be done even by the candidates who are engaged in CLAT Coaching in Delhi since it will help them a lot as well. Lastly, I would like to ask you all to stay encouraged and constantly motivated so that you have a positive outlook towards your CLAT Preparation and exam. If you have put in the midnight oil, the results will show. Law, Management & Hotel Management Exam Preparation | Clear Law Entrance: What Constitutes the Best CLAT Preparation?